City’s Walk-In Centre to close? NHS plans to close the Walk- In Centre on Broad Lane / RockinghamStandtheMinor Injuries Unit at the Hallamshire Hospital have been met with resistance by the community and Green Party campaigners. In a separate move, Cllr Douglas Johnson led a cross- partycallfortheCouncil’s Health Scrutiny Committee to examine decisions of Sheffield’s Accountable Care Partnership on a formal basis. Labour councillors on the committee voted against the Green proposal. 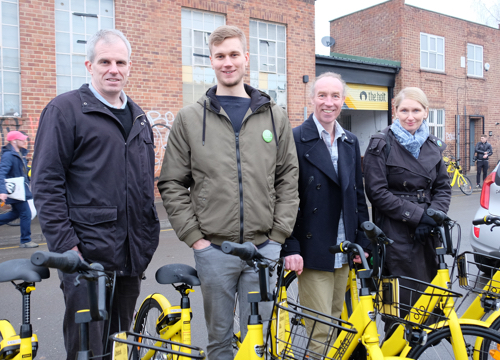 1,000 yellow bikes are now seen all over the city centre. All you need is a mobile app on your phone to hire them for 50p per half hour. You can leave these “dockless” bikes anywhere as long as they are parked safely. Roads still in bad condition. Sheffield’s controversial Highways PFI contract has made headlines across the country. Hundreds of roads have not been repaired. Many that have are already breaking up and costs now extend to the year 2057 – 20 years after the contract ends. Even War Memorial trees, planted to remember soldiers killed in World War One, are being felled. 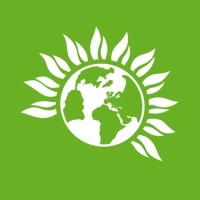 The Greens opposed the PFI from the start for being too expensive and inflexible and have called for the contract to be made public. The cobbled surface of historic Cornish St has finally been re- laid after Amey dug it up in September 2016. “I’m glad it’s been laid to rest after the length oftime I have been chasing Amey for action,” said Cllr Douglas Johnson. Your local Green councillors are familiar faces at community meetings. Both Rob Murphy and Douglas Johnson also have 100% attendance at council and scrutiny meetings. Martin has been helping Rob and Douglas with casework from residents, including bad housing conditions in the city. City ward councillors have funded a public access defibrillator to be sited at Craft & Dough in Kelham Island. The project included volunteers from the Community Alliance (KICA) and Industrial Museum. It will match other units in the city centre. Plans to revamp the basketball court are coming soon. Green councillors signed off funding for the project and have been in discussion with Shoreham TARA, St Mary’s Church and TimeBuilders, along with officers from different council departments. 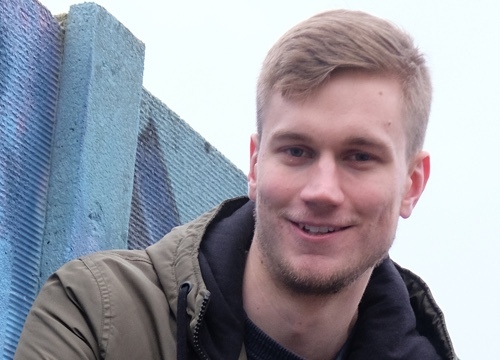 South Yorkshire Green Parties have selected City Ward Councillor Rob Murphy as their candidate for the Sheffield City Region Mayoral election on May 3rd. Rob, who has spent 10 years serving here as a councillor, says “It’s an honour to be selected. I intend to give a voice to small businesses, bring transport improvements and prevent South Yorkshire turning into a ‘one party state’. 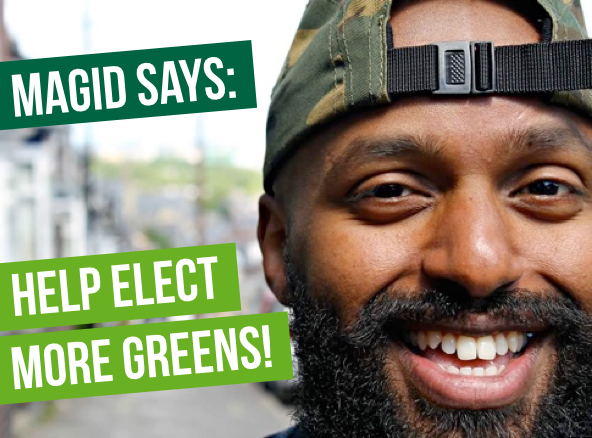 City centre resident stands for Greens in May’s Council elections. “I live and work in the city centre, and love living here,” says Martin. “City Ward is the heart of Sheffield, with people coming from all over to see what it has to offer in its theatres, its cinemas, its venues, its restaurants, its quirky independent businesses, alongside the bars, real ale pubs and nightlife. “I am passionate about a safe city centre with clean air, accessible local healthcare, joined-up cycling routes, better public transport and a good quality of life.